Individual Ohio housing markets were the beneficiaries of a great 2014, and it appears as if 2015 will continue the trend. Central Ohio, in particular, has shown moderate increases in terms of volume and price. Recent developments have created an environment that favors neither buyers nor sellers. Each has their place in the Ohio housing market. Columbus, as a result, has demonstrated a propensity for favorable market conditions. While encouraging in its own right, California markets like Los Angeles and San Diego continue to set the bar for home values. However, Columbus isn’t too far behind. For all intents and purposes, Columbus is in a position to prosper in the coming year. That said; experts have suggested that homes in the Columbus housing market could appreciate by as much as 1.5 percent in the coming year. More consumers, including first-time buyers, will actually be able to participate in the market too. Over the course of 2014, sales prices have jumped in the face of elevated demand. With that in mind, experts project that sales prices will hold steady in the coming months, even with appreciation expected to last into 2015. The Columbus housing market currently boasts a median home price of $165,700, close to that of Kansas City. Considering that the national average price of a home is approximately $216,567, Columbus is considerably less expensive than the rest of the country. Homes purchased in the Columbus housing market one year ago have appreciated by an average of $15,867, whereas the national average was $12,783 over the same period. Homes purchased in the Columbus housing market three years ago have appreciated by an average of $40,472, whereas the national average was $55,406 over the same period. Homes purchased in the Columbus housing market five years ago have appreciated by an average of $33,523, whereas the national average was $49,675 over the same period. Homes purchased in the Columbus housing market seven years ago have appreciated by an average of $27,464, whereas the national average increased $9,474 over the same period. Homes purchased in the Columbus housing market nine years ago have appreciated by an average of $30,247, whereas the national average increased $3,419 over the same period. Perhaps the most encouraging factor supporting the Columbus housing market is the promising job sectpr. As a strong driver of local supply and demand, Columbus’ job sector is better than the national average. The city’s current unemployment rate is 4.3 percent, about a whole point and a half below the national average. At 4.3 percent, Columbus has improved their unemployment rate by a staggering 2 percent in just one year. The prospect of a good job sector will always benefit the local housing market. The medical, finance, construction, and education fields continue to supply the Columbus housing market with buyers, as the job growth requires more housing for said employees. However, some are concerned that the millennial generation is not yet prepared to actively participate in the market as buyers. That said; their participation would provide a boon for the entire Columbus housing sector. Nearly three-quarters of the way through 2014, a total of 736 new homes were sold. Despite the seemingly impressive number, new home closings made up less than one percent of all housing closings in Columbus. That number was actually down from the 2.7 percent of all closings during the prior year. According to Zillow, “foreclosures will be a factor impacting home values in the next several years.” Out of every 10,000 homes, nearly 13 are facing foreclosure in the Columbus housing market. “The percent of delinquent mortgages in Columbus is 6.2%, which is lower than the national value of 6.9%. The percent of Columbus homeowners underwater on their mortgage is 28.3%, which is higher than Columbus Metro at 18.1%,” said the real estate valuation site. Foreclosures and real estate owned (REO) closings dropped from the previous year, but, for one reason or another, did not appear to impact the market all that much. Together, foreclosures and REO closings made up more than 18 percent of existing home closings. That number represents a 33 percent decline from the year before. Foreclosure closings saw a 9 percent drop over the same period, while REO closings only dropped 6 percent. Like the rest of the country, multifamily rental units are preforming very well in Columbus. Rents are too high to not warrant their investment. Currently, the demand for rental housing is showing no signs of slowing down. Despite the addition of 4,300 new rental units in the past year, vacancy rates have only continued to drop. Decreased vacancy rates have also served to keep rents high. 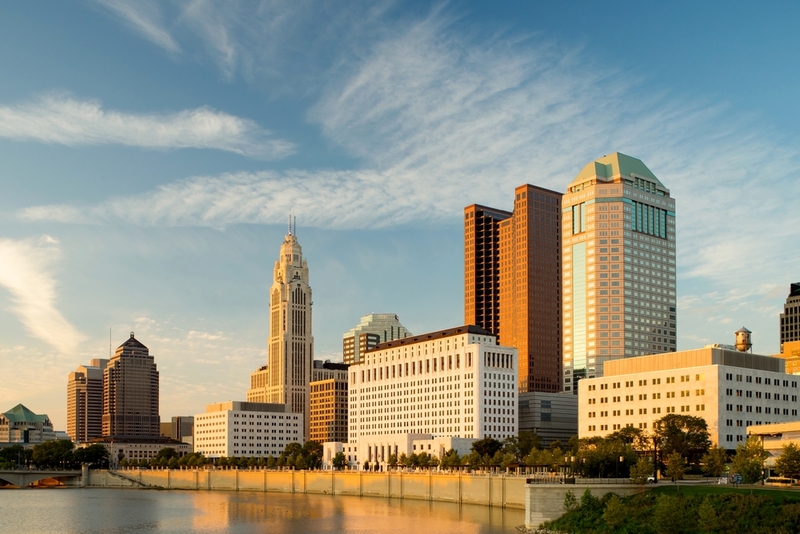 2014 was a great year for real estate in Ohio, and 2015 looks to continue the trend. According to reports issued by Trulia, German Village and North Linden are among the most popular neighborhoods in the Columbus housing market.